Visually stunning exotic woods and cutting-edge active electronics. 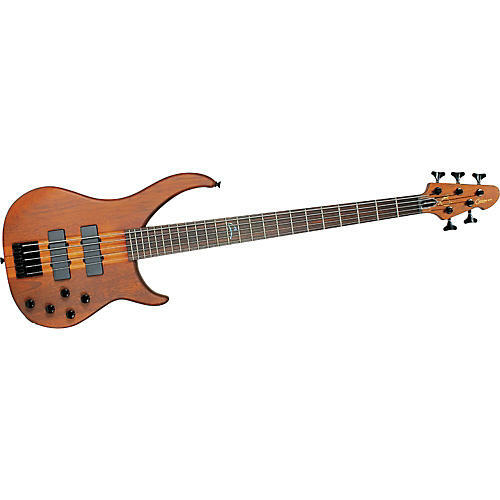 The Cirrus 5 BXP five-string bass guitar delivers great low end at an even lower price. Peavey has taken its most sought after professional basses with exotic woods and hi-tech features and made them more affordable. The Cirrus 5 BXP has a neck-through-body design and construction that delivers unmatched tone, sustain and string clarity more than any bass in its class. With two custom VFL active pickups and a 3-band active EQ, the Cirrus BXP bass allows you full control over volume and tonality. Black hardware and a string-through-finger style bridge.